Hardware authentication specialist Yubico is announcing a new FIDO2 compatible security key which will be supported in Windows 10 devices and Microsoft Azure Active Directory (Azure AD). This means that organizations will have the option to enable employees and customers to sign in to an Azure AD joined device with no password, simply by using the security key to get single sign-on to all Azure AD based applications and services. "Microsoft's FIDO2 implementation using the Security Key by Yubico is just the beginning of a passwordless world; there are no limits as to where this technology can take us," says Stina Ehrensvard, CEO and founder of Yubico. "Passwords have been an age-old pain point for both individuals and organizations, and now, we have developed a unified open standard that can finally solve the problem at scale." This is the first security key supporting FIDO2 to be integrated into Microsoft's computer operating systems and cloud services. "Passwordless login represents a massive shift in how billions of users, both business and consumer, will securely log in to their Windows 10 devices and authenticate to Azure Active Directory-based applications and services," says Alex Simons, director of program management for Microsoft's Identity Division. "We're excited to partner with Yubico as we work together to eliminate passwords." The feature is currently in limited preview for Microsoft Technology Adoption Program (TAP) customers. 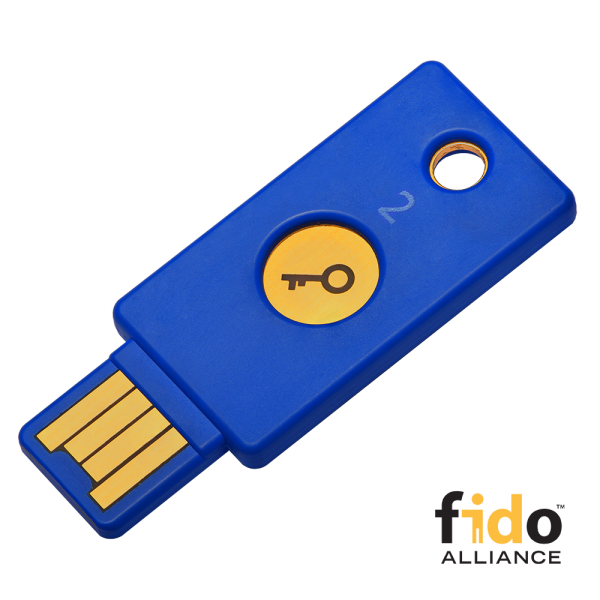 Yubic's Developer Program offers training and open source assets for early implementations of FIDO2 using the Security Key by Yubico. You can find out more on the Yubico website and in the video below.